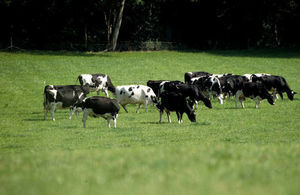 This confirmation is part of the EU’s published no deal contingency planning – without it, exports of animal products and most live animals to the EU could not take place in the event of a no-deal exit from the EU on April 12. This is good news for UK businesses. It demonstrates our very high standards of biosecurity and animal health which we will continue to maintain after we leave the EU. If you or your business import or export animal and animal products or imports high risk food then I urge you to visit our guidance pages on gov.uk for what you need to do to be ready to continue to trade post-Brexit. Our top priority remains delivering a negotiated deal, but it is the job of a responsible government to ensure we are prepared for all scenarios, including no deal. The EU’s Standing Committee on Plants, Animals, Food and Feed (SCoPAFF) confirmed the acceptance of the UK’s listed status application yesterday [9 April]. National listed status is the EU’s classification for non-member states and the UK’s application, submitted in November 2018, has passed the high criteria on biosecurity measures for animal health and food hygiene. UK exports of animals and their products to the EU will need to go through an EU Border Inspection Post and businesses will still require an Export Health Certificate (EHC) and meet its requirements. Our guidance remains to send an EHC with the export consignment, and to send a copy of the EHC to the EU importer. This decision by the European Union applies only to a no-deal Brexit on April 12 2019. There would need to be another vote if the UK was to leave in a no deal scenario on a different date. 11 April 2019 Original notes to editors now included. 10 April 2019 First published.